luminance; and ‘Ray’, a vibrant beam of light. They believe in creating a collection that allows a womans natural beauty to shine through. The first thing that struck me about Glo & Ray was their Sleek Packaging. The black Boxes with the big white branding are all very mysterious and trendy. Each compact item has its name on the front so that you know what is inside.Today I am discussing four of their items which are the Fluid Foundation, Mirage Mousse Eyehsadow, Mariposa Quartet Eyeshadow and Wonderland Hydrating Lip gloss. NEBULAE Fluid Foundation 30ml in B01 £23.00 – When it comes to foundation I am a very loyal girl. I find one I like and stay with it forever pretty much. They are the major factor to the perfect canvas of your face. If you get your foundation wrong then every thing else will just look completely mismatched and cakey. I am SO impressed by this lightweight foundation. It comes in a great pump bottle so its easy to decant the correct amount of liquid onto the back of your hand and apply to your face using your preferred technique. I like to use a brush but I know many people use a beauty blender or even their fingers. The level of luminosity in this foundation, absolutely blew me away! 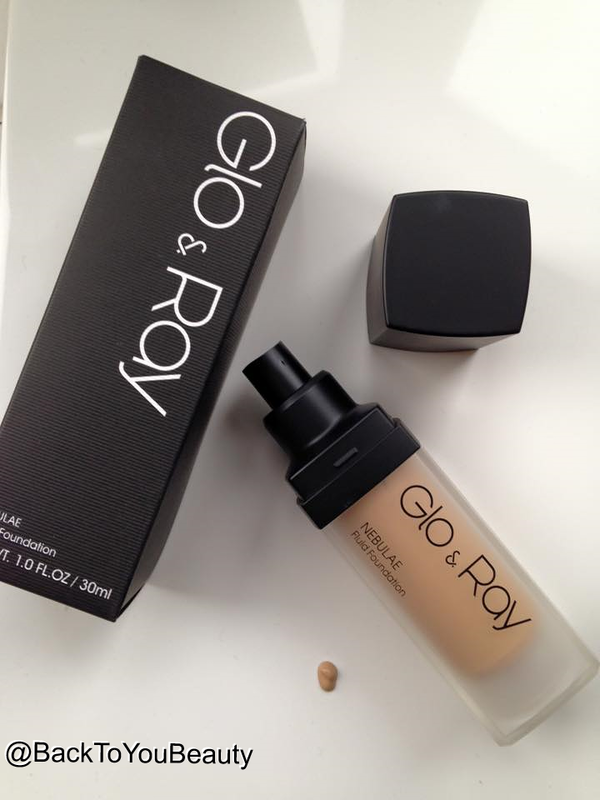 I applied it over my usual primer and straight away my skin had a beautiful healthy glow! The foundation was easy to apply and spread and the colour I choose looked perfect for my skin tone which is generally “Medium” with yellow undertones. I felt really comfortable in this foundation all day and was so happy everytime I looked at my skin with the flawless finish. I would say this is a Medium coverage, and would definitely buy this product. For the party season this is great for longevity and the Glo! 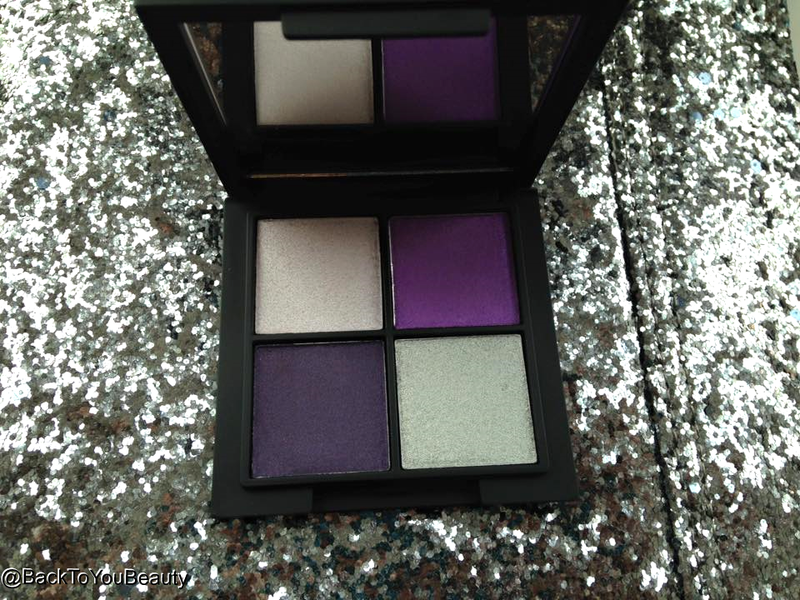 Mariposa Quartet Eyeshadow in Violet Emotion £12.50 – Do not be scared by these colours, I believe you will use them more than you think. They are so versatile as you have a highlighter, crease colours and any can be used as an eyeliner. They blend beautifully and you can keep building the colour and play with different brushes for a stronger look. I had no fall out from these and loved the way they brought out the green in my eyes. In the photo above I am wearing the Foundation which shows the luminosity, and the Mariposa Quartet Eyeshadow in Viloet. 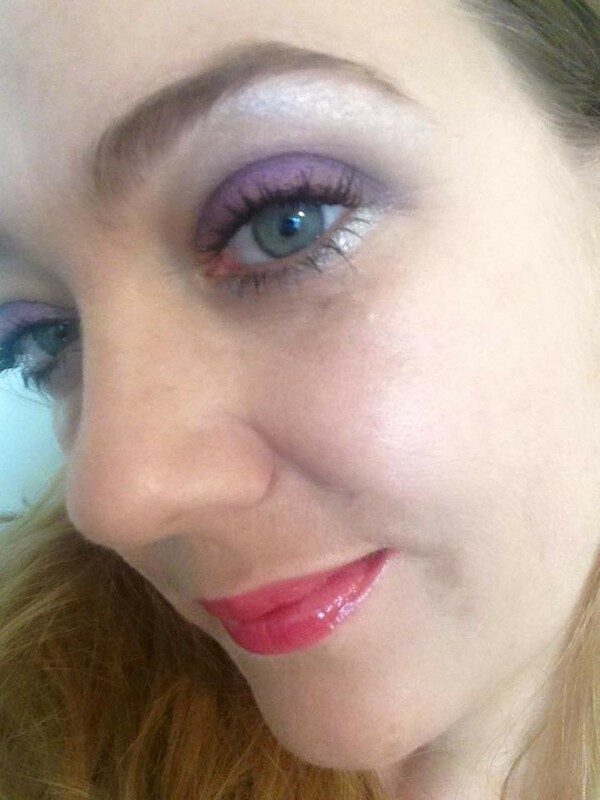 I have used the highlighter all over my eye, then blended the darker mauve into my crease and the light purple on my lower lid. I then used the silver shade under my brows and lower lashes. Unfortunately I did not have a Glo & Ray mascara so I am wearing one by Tarte HERE. I am also wearing the Wonderland lip gloss. There is no filter in use and you can see that the shadows can be subtle or you can build them for a night time look. 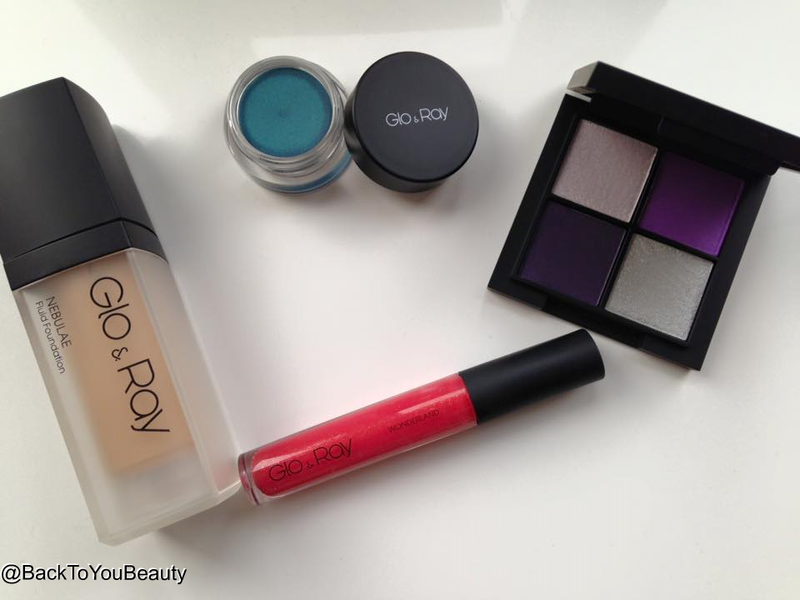 I just needed one of Glo & Ray’s pretty blushes to complete this look. 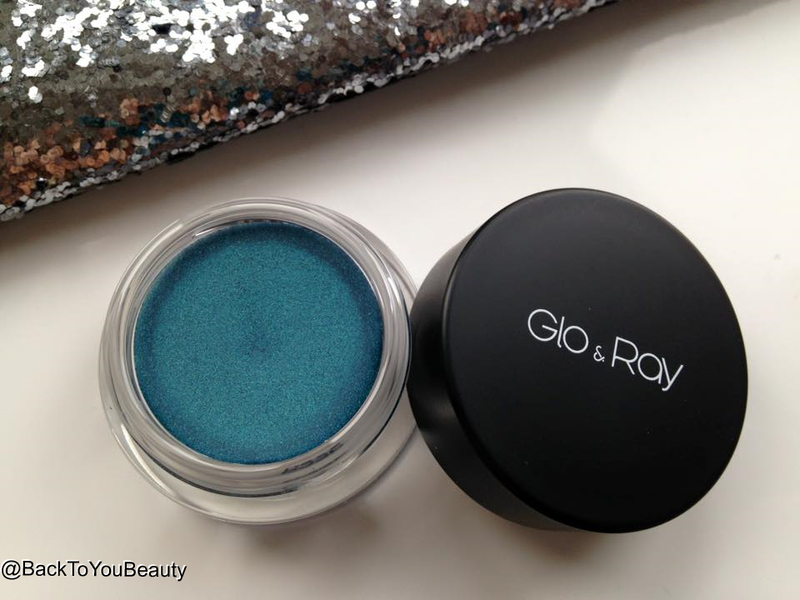 Mirage Mousse Eyeshadow in Egyptian Ocean – £11.00 Wow, Wow and wow I love this sooooo much!! It is absolutely beautiful and it is now my mission to try one of these in every colour. This mousse will last you an absolute age. The pigmentation is crazy good! The texture is so silky and feels beautiful to apply,you need such a small amount to make a bold statement. 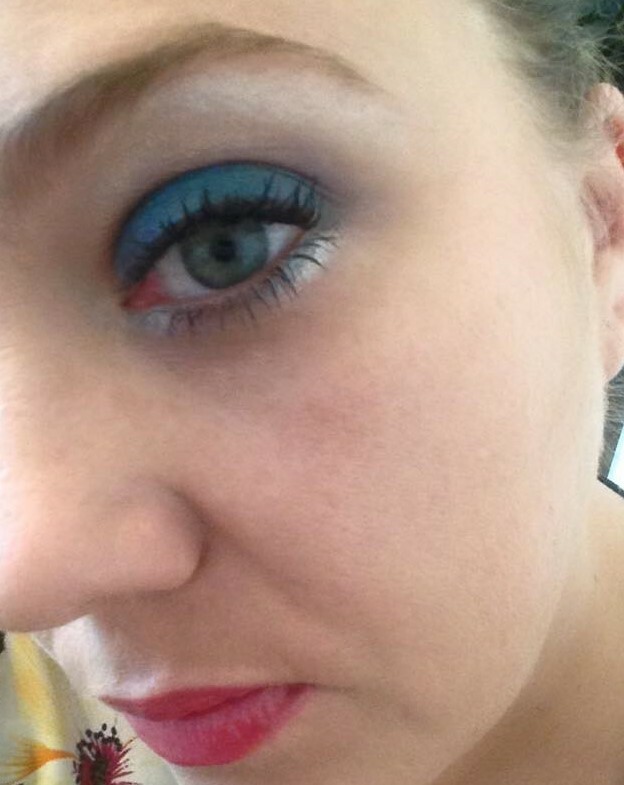 I packed this on my lid using a stiff, flat make up brush and a little under my lower lashes and was thrilled with the colour. I am wearing the foundation, lipgloss and mascara as before and the highlighter from the Quartet Palette on my upper lid and under the brow bone and the silver from the quartet Palette along with the Mirage Mousse under my Lower lashes. There is no end to the looks that can be created with this mouse. An absolute must have for the party season! Blown away by this!! Wonderland Hydrating LipGloss in Crystal Lava £10.00 – This is such a pretty Lipgloss and works perfectly with the darker shades of shadows. Its a reddy pink, sparkly, hydrating, plumping lipgloss that flatters all skin tones. My only bugbear is the consistency is a little sticky for me and as I have very long hair, I have to becareful which kind of lipgloss I wear so as not to get my hair stuck to it. However, it delivers beautifully on hydration and price and although its not something I would wear all the time, it does suit the eyeshadows beautifully. Over all I think this is a really fantastic brand, if you want a high end fashion look then it really is a great brand to deliver this. Their website currently has some really fabulous looks and items on it all at outstanding prices, I really am desparate to try the Balloon Pop Silky Eyeliner set, I think they will create some amazing looks for the new year. The items i’ve tried that really stand out for me are the Foundation and the Mirage Mousse , the looks that can be created really are endless. Glo & Ray is available online HERE and also in store at Topshop Oxford Street. Let me know your thoughts on these colours, leave me a comment below!